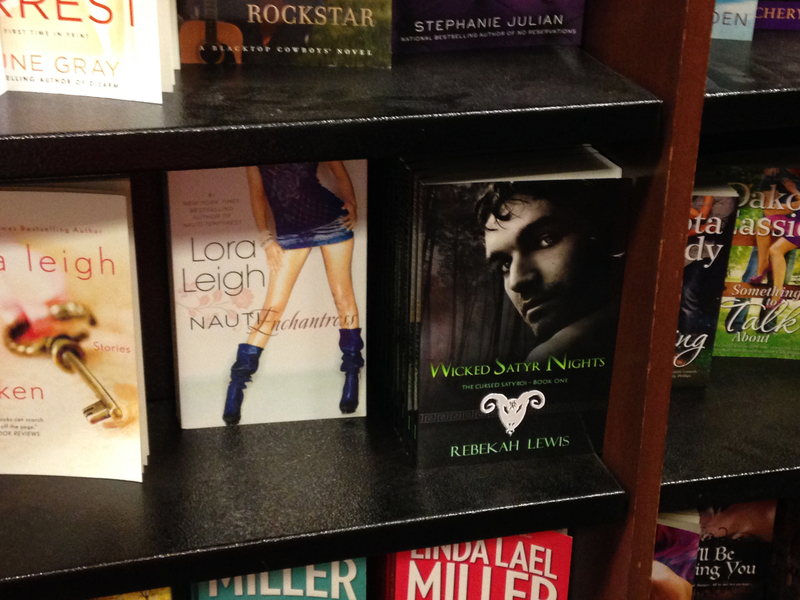 Two weeks ago, I wandered into my local Barnes & Noble store and asked them to stock my book. Not only did they order copies without blinking (though they did give me an official form and told me if I want it stocked normally, I have to go through the regular procedure) but they set me up for a book signing on October 18th. (more info on that to come). UNDER THE SATYR MOON! 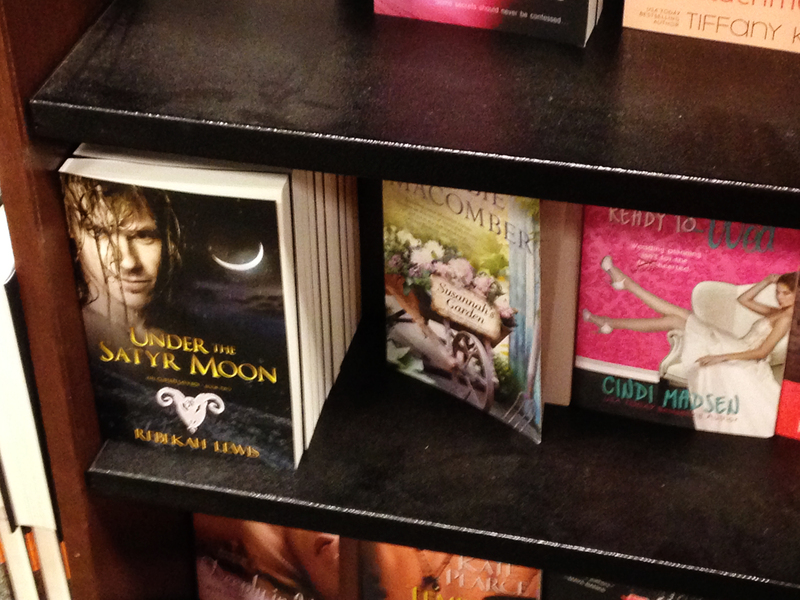 The book I have labored over since before WSN was in the booky flesh in Barnes and Freaking Noble, just hanging out next to Debbie Macomber. I must be dreaming this, surely. Next postThe Vanishing is on sale now! Bravo, girl! Couldn’t be prouder of you! That is awesome! I am happy for you! This just made my day! Thank you so much for the hope you’ve given us indies! A total congrats on that one! Woohoo!!! That is completely AWESOME!!! Major Congrats! That’s pretty dang cool 🙂 Congratz.